3 Bedroom End of Terrace House For Sale in Luton for Offers Over £200,000. Situated a short walk from the town centre is this superb investment or first time purchase. 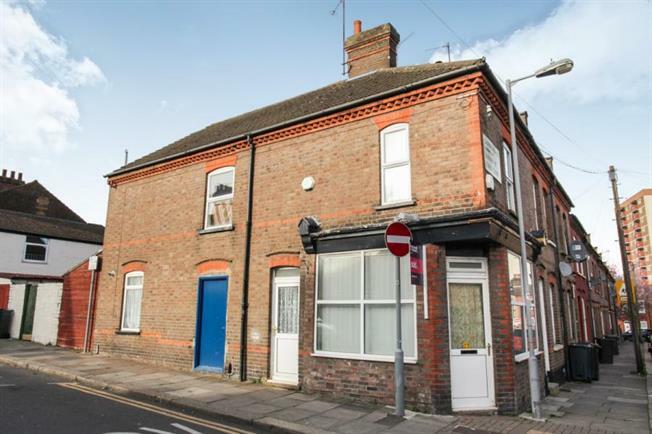 Located on Cambridge Street this chain free property is fantastic value for money as this spacious corner property could be converted into flats STPP or even developed for the growing family. This spacious property offers a great amount of space and includes a 24ft kitchen/diner, living room, lower ground basement, downstairs bathroom, three bedrooms and another bathroom on the first floor. Externally the property offers a detached garage and an enclosed rear garden.